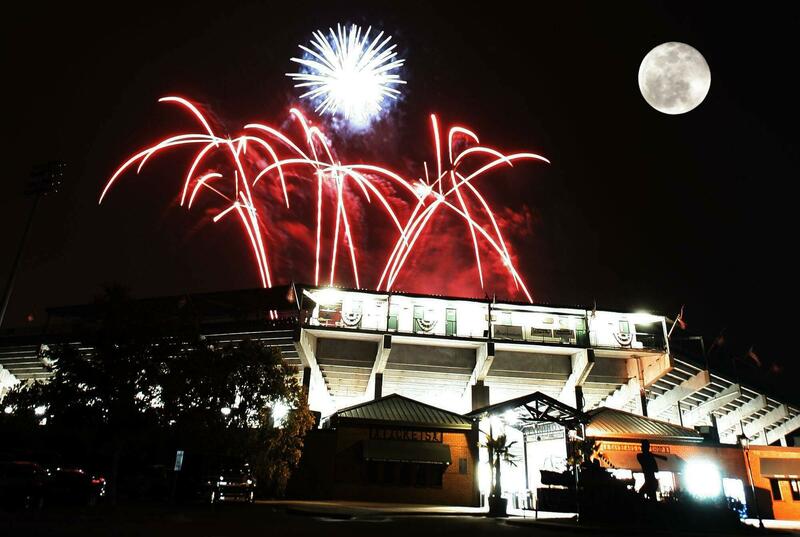 People in Mobile and Baldwin County will be able to look up and see the sky light up on the 4th of July in celebration of our nation's independence. Then the age old question presents itself, where can I get the best view of the fireworks and how much is it going to cost to be there? Don’t worry MobileAL.com is here to help with plenty of ways for you to see all the action at your given budget. These venues are the easiest to access but that also means they will be the most crowded. Regardless, you can’t beat free live music, great downtown restaurants, and a wonderful fireworks display all in one night. The beautiful Cooper Riverside Park takes you as close to the magic as possible. 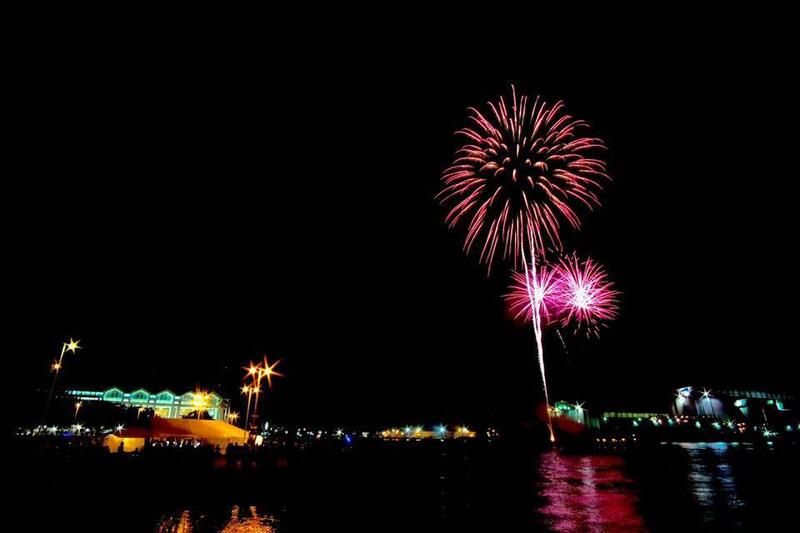 Standing on the edge of the water gives you a great view of the fireworks and their vibrant colors as they reflect on Mobile bay’s calm waters at night. The Mobile Pops will be playing live at the park starting at 7pm leading up to the fireworks showcase at 9pm. 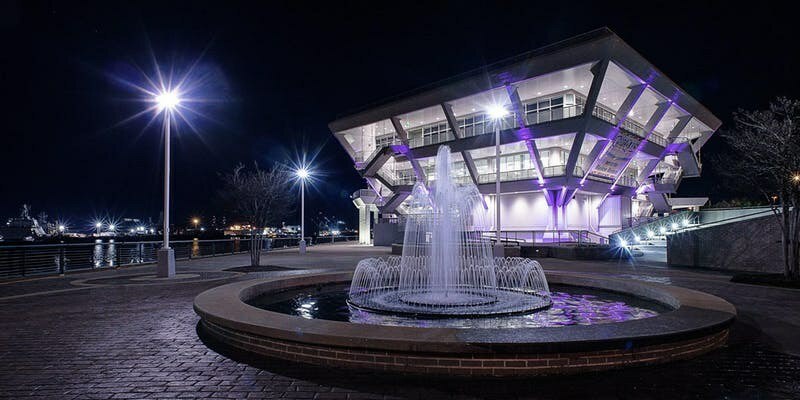 Parking will be provided by the Mobile Convention Center and the Mobile Civic Center. More information about this event and others happening in the park at the same time can be found on City of Mobile’s Facebook page. If you find yourself on the Eastern Shore on the 4th then you will want to head to Fairhope to see the light show. Much like in Mobile, free live music will start at around 7:30pm. The Baldwin Pops will play a variety of patriotic music leading up to the fireworks display at 9pm. This year they will also feature Alabama 151st Army Band as a special guest in their concert. 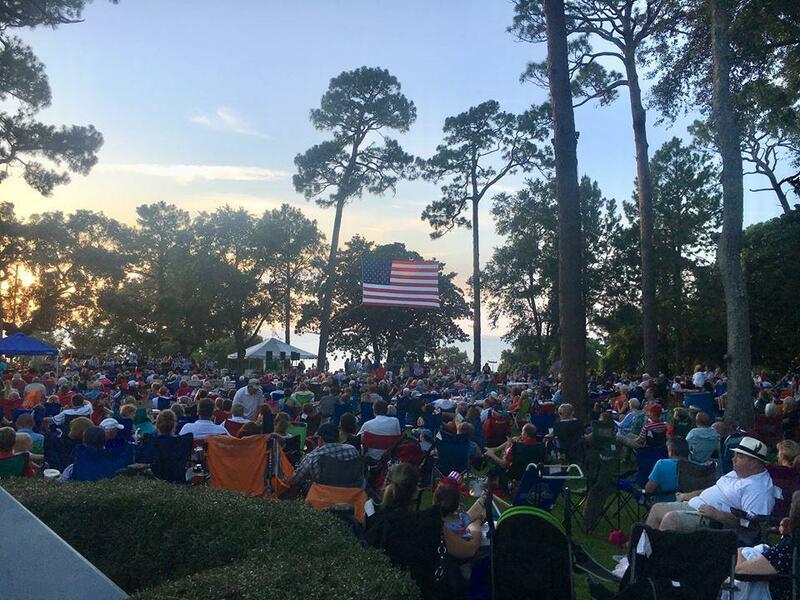 The main viewing and the live music will happen at Henry George Park with certain parts of Fairhope Municipal Pier open to the public. Check out the City of Fairhope’s facebook page for more details. If you want a little bit more than what the downtown parks have to offer then you should make it over to Foley to view the fireworks in Downtown OWA. OWA is an amusement park and row of shops that was made out of a joint venture between the city of Foley, the Foley sports complex, and The Poarch Band of Creek Indians. “Downtown OWA” (row of shops and restaurants) is free and open to the public for fireworks watching. Before the fireworks go off, live music will be played by a DJ in their weekly Gl-OWA block party. Parking is Free but if you want to ride one of the 21 attractions in “The Park”, you will have to buy a ticket. The rides, restaurants, and music will make the 4th a day for the whole family to remember. Check out their website for more information. If you want to not have to worry about finding something good to eat before the fireworks, or you just want to treat yourself and your significant other to a beautiful view of the fireworks then these events happening locally on the 4th are just for you. 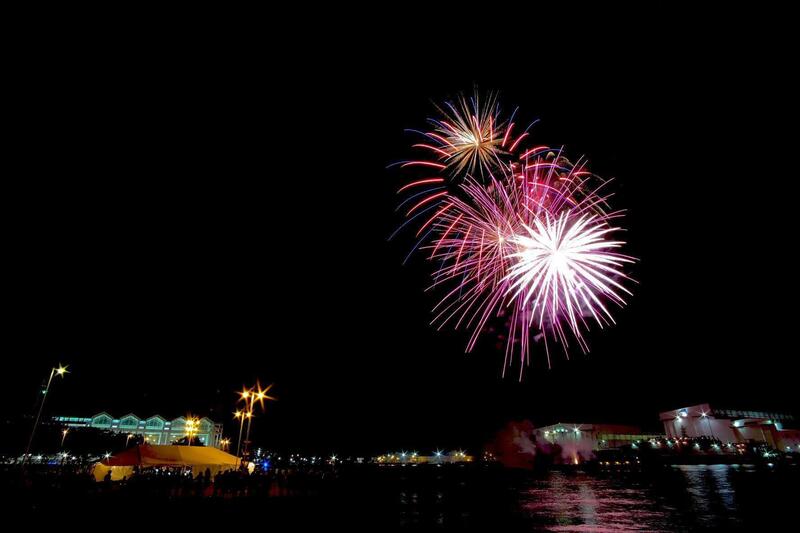 In its first year celebrating the holiday, the GulfQuest Museum will be giving its guest a spectacular experience to match the excitement of the fireworks. They will provide things like priority parking, specialty drinks, music and catered food while you enjoy a panoramic view of the fireworks from its top floor. The price of admission is fifty dollars for adults and twenty-five for children. Check out their facebook page for more information. From 6 pm to 9 pm The Renaissance Riverview will be having an all American cookout buffet with traditional cookout mains, desserts and sides. Live entertainment will be provided throughout the night and unlimited draft beer will be served to those over 21. Tickets for the event are twenty-five dollars and they include access to their private pool deck for fireworks viewing. For more information check out their facebook page. 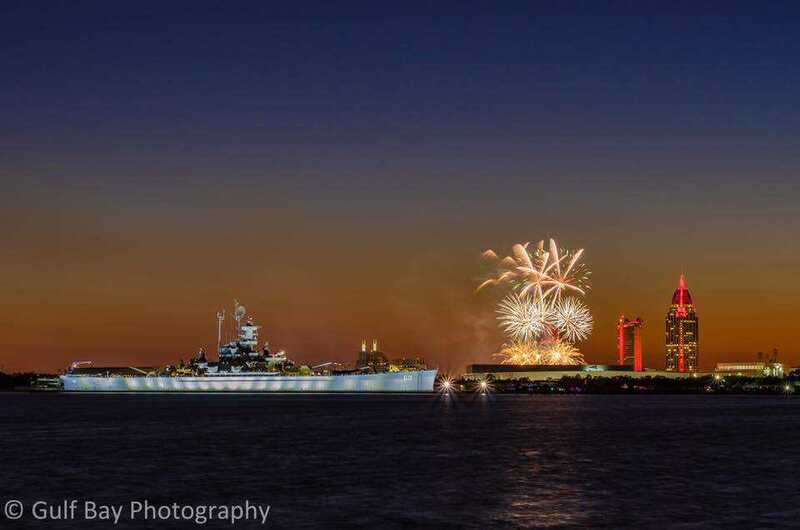 If you have already made plans for the 4th then chances are you were some of the lucky few that bought tickets to the 4th of July BayBears game or to the event happening aboard the USS Alabama where every kid gets a free sailor hat and storybook. If you missed out this year on tickets, make plans to attend next year as these are some of the most popular places to be on the 4th! Regardless of the way you will celebrate, the family at Blue Fish wants to wish you a happy and safe 4th of July!